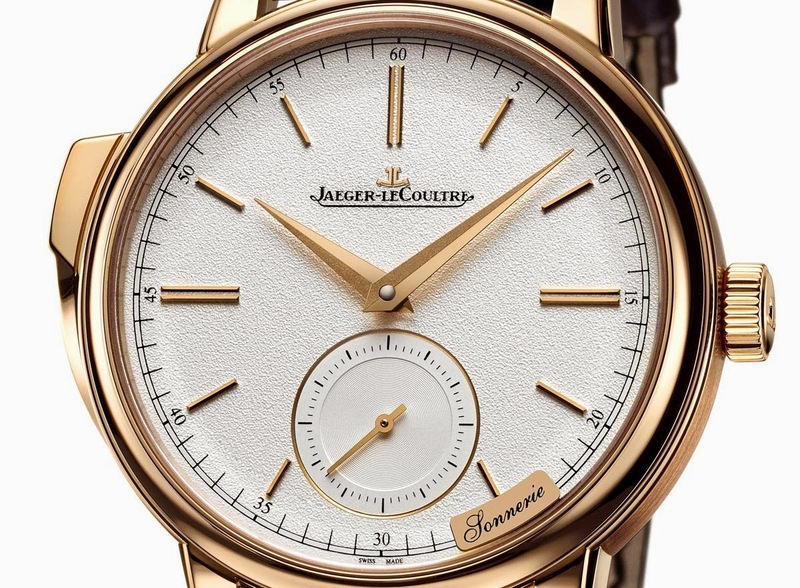 Jaeger-LeCoultre has a long tradition in the production of exceptional minute repeating timepieces. 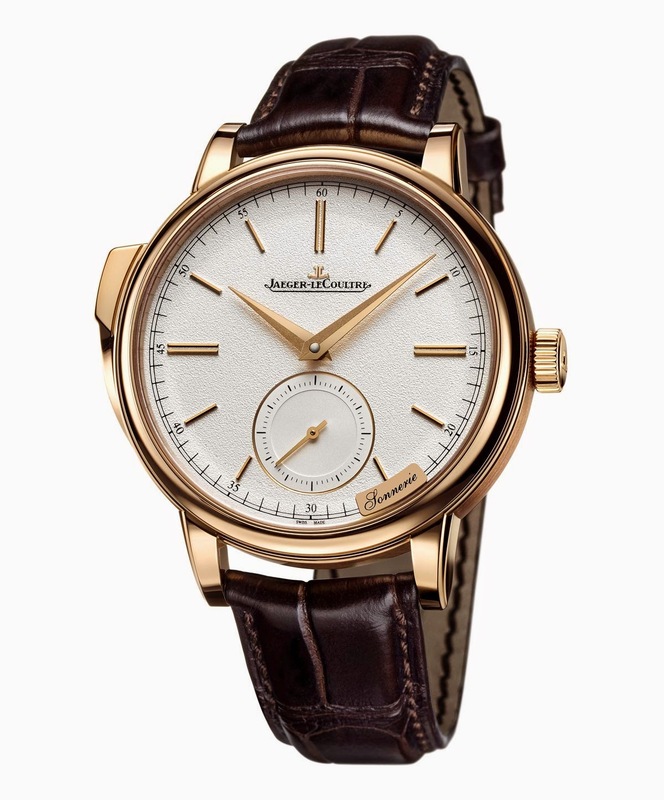 Just consider that, in the last year or so, Jeager-LeCoultre presented two other minute repeaters: the Master Grande Tradition Grande Complication and the Master Ultra Thin Minute Repeater Flying Tourbillon. 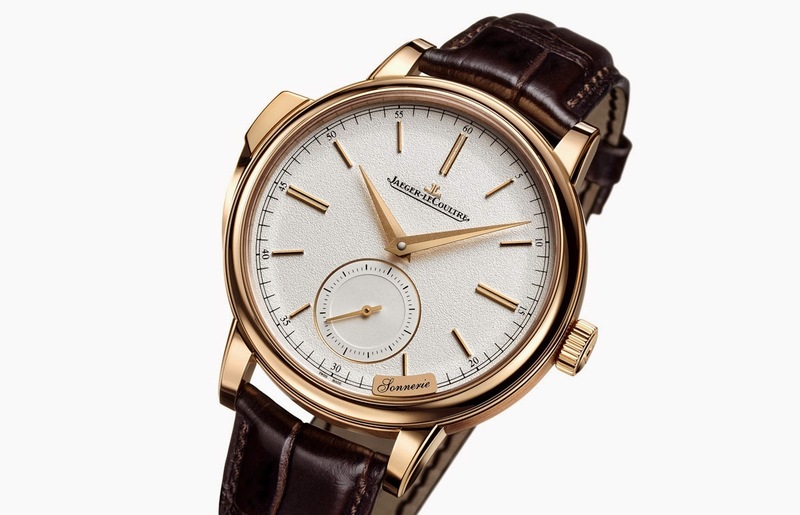 With the just announced Master Grande Tradition Minute Repeater, this complication is introduced, - for the first time in the history of the Master Grande Tradition line - in a version driven by a mechanical automatic movement. The acoustic quality of a chiming watch is above all based on the gongs, which are essential in producing the sound that is amplified and enriched by the case. The gongs/case combination endows each minute repeater timepiece with a distinctive tone and character. To create an extremely rich sound, Jaeger-LeCoultre has developed a crystal gong with a square section, made from a special secret alloy and machined all of a piece. 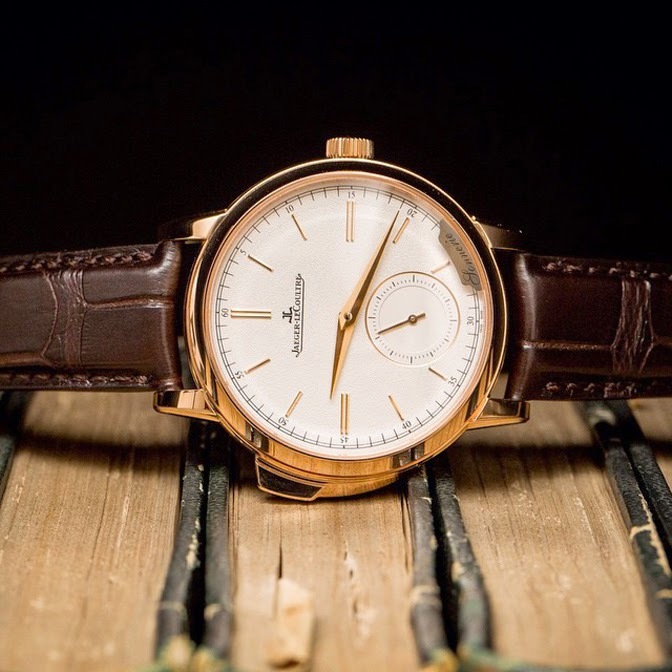 In addition, the Master Grande Tradition Minute Repeater is equipped with two patented trebuchet hammers that make a single and stronger strike on these crystal gongs whose heel is welded to the upper sapphire crystal. Nonetheless, the power of the sound alone is not sufficient: it must be matched to regularity. In this model, the striking regularity is ensured by the silent regulator that controls the energy delivered by the barrel of the minute repeater. The energy of the spring is released in a constant stream in order to ensure a tuneful and continuous chime. A feature that enhances the user experience, the Master Grande Tradition Minute Repeater is activated by a single push-button instead of the traditional slide system. The mechanism is activated in one clear, smooth move. The push-button is equipped with a security system. If the button is accidentally pressed when the minute repeater is in action, it does not start up again, thus preventing any damage to the movement. Powered by the automatic Calibre 942 movement beating at 28.800 vibrations per hour and offering a 40-hour power reserve, this creation features a 22-carat pink gold oscillating weight with polished and grained finishes. The 39 mm wide x 12.1 mm thick pink gold case now features a concave bezel which contributes to make the dial appear larger. Surfaces are polished except for the satin-brushed caseband. The grained silver-toned dial is enriched by applied hour-markers and the subtly recessed small seconds opaline counter at 6 o’clock. The Dauphine hands have two facets which create pleasing effects with the light thanks to the different finishes, one facet being polished and the other sandblasted.